91% of youth served ranked themselves as highly satisfied with the support they received from Stanford Youth Solutions. Right now, there are 2,300 abused and neglected youth in Sacramento County without a place to live, and not enough competent and compassionate foster parents to care for them. Become a foster parent with Stanford Youth Solutions to be part of the solution. What are the basic requirements to become a foster parent? Why should I choose Stanford Youth Solutions? 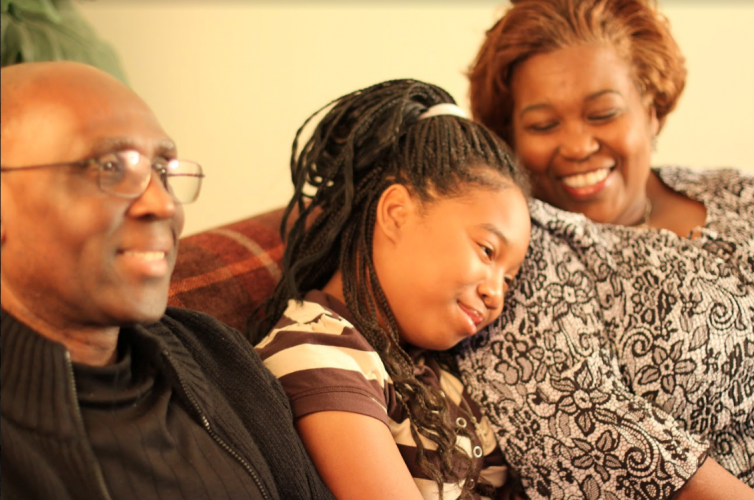 Experienced foster parents really appreciate Stanford Youth Solutions. Stanford Youth Solutions provides foster parents with 24/7 support, accessible staff, competitive rates, support groups and mental health services for the foster youth. As a local Sacramento nonprofit, Stanford Youth Solutions is responsive to the needs of our foster parents and is the leader in providing care to youth and families, in their homes and within their own communities. How long does it take to become a foster parent? Most families are approved within three months. Foster family approval can be completed more quickly or take longer depending on individual family circumstances. Stanford Youth Solutions openly negotiates rollovers from other agencies. Who does Permanent Family Connections serve? What is Permanent Family Connections’ goal? We support youth reunifying with family or relative caregivers when at all possible; if that is not an option, we seek permanency in the form of adoption or guardianship for the youth. What is Stanford Youth Solutions’ specialty area or area of expertise? In addition to Standard Treatment Foster Care, Stanford Youth Solutions specializes in providing foster care for our community’s most vulnerable youth – those who have experienced acute trauma, separation from loved ones and other losses. This specialty is called Intensive Services Foster Care. Through comprehensive support and one-on-one attention, these foster youth are given the opportunity to succeed in a family home. With the guidance of experienced foster parents, they learn how to become productive members of a family, and they will use these skills for the rest of their lives. We invest heavily in training so you are prepared to handle whatever comes your way. We have a very robust training program that will create success for you and your foster child. Our families must be educated on the foster youth population and the needs that come with working with youth that have experienced trauma. The more a family understands about the youth in their care, the more the family can find ways to help the youth succeed. The better prepared you are, the stronger the relationship with your child will be. Trainings are a mix of online and in-person to accommodate the needs of those interested in becoming a foster family. How can I get more information about becoming a foster parent? Contact our Recruitment Specialist Daniel Sederquist (dsederquist@youthsolutions.org) or call (916) 344-0199 and we will be happy to answer your questions. Submit this Foster Care Parent Interest Form to request one of our certified foster care professionals to contact you. Our staff are here to help you become a foster care parent and give you the support you need to successfully care for youth, who are in desperate need of safe, loving families to call their own. We thank you for taking the first step in learning more about becoming a foster care parent.